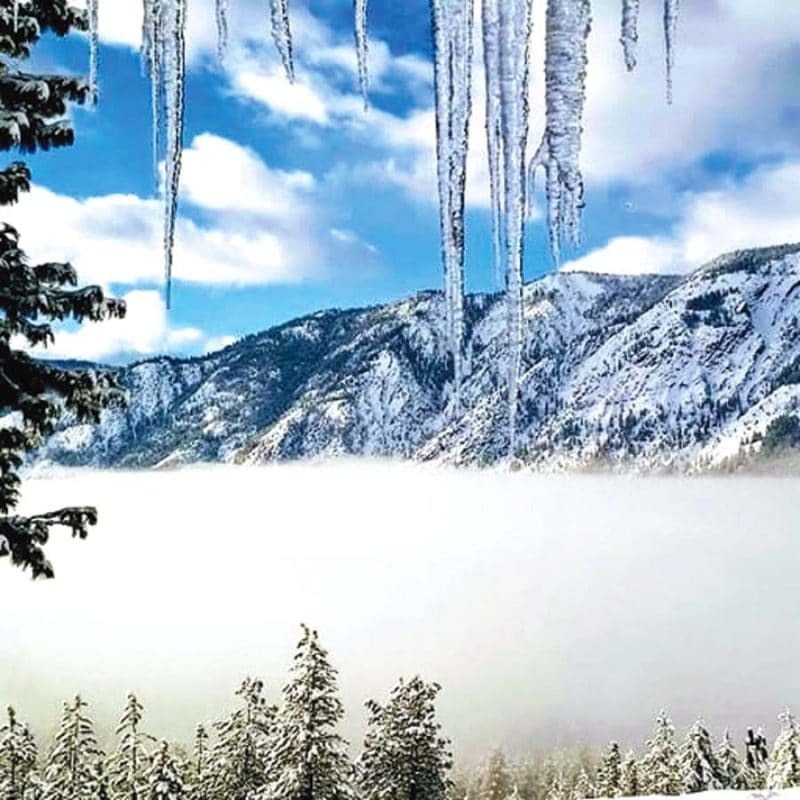 June Fitzpatrick’s sunny day photo of icicles at the far end of the valley is this week’s photo contest winner. The icicle photos have started filling my inbox — thank you! I am not sure why I think this is fascinating each year, but I love seeing those crystalline spikes hanging on the brink of survival. They are so delicate and, yet, so deadly. According to some unreliable internet site, there are at least 10 deaths per year by falling icicles, so be careful when you step outside. This week’s winner of the icicle photo is June Fitzpatrick, whose lovely spikes punctuated the foreground above the fog in what is a lovely winter photograph. June wins the distinction and honor of being the winner of unofficial Twisp Column icicle challenge, even though this icicle isn’t in Twisp. I have recently gotten some flak from some of my critics about whether I am writing enough about Twisp. I would like to point those skeptics to the title of the back page: Valley Life. Here’s my spin, I try each week to relate my theme, reporting, or observations to Twisp or Twispians. 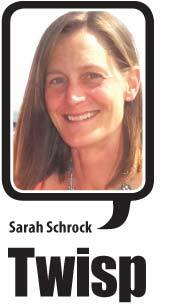 If a Twispian was at an event somewhere else in the valley, it’s fair game for my article. If I heard a story or tidbit from someone from Twisp about something elsewhere in the valley or beyond, it’s fair game. If I woke up and wrote this article in Twisp, it’s fair game. If an event took place in Twinthrop, it’s fair game. That’s right, Twinthrop. 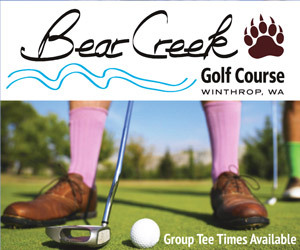 This term has come into popular vernacular among the many residents who live in, work in or pass through the areas that tie Twisp and Winthrop together, most notably — Twin Lakes. Where do you live? Well, if you live somewhere along the highway between the school and Twisp or along Twin Lakes Road, you probably live in Twinthrop, and that’s fair game for my column. So, the news from Twinthrop is of the annual igloo at the Humling/Pastore home that was constructed this past week. You may remember two years ago I reported on the craftsmanship of the annual igloo erected by Michael Humling of Twinthrop. Four out of the past five years, Humling has chipped away at the year’s snowfall that has piled up from snow-blowing to build an impressive igloo. Last year’s January thaw thwarted his efforts, but this year’s cool temps allowed for the building of a 10-feet-in-diameter structure that stood at least 6.5 feet tall on the inside. Past igloos have included double chambers and tunnels. Complete with lights and insulated seats, the igloo turns out to be a pleasant gathering spot. This year’s igloo, traditional and simple in design, held at least 10 adults and numerous children. The igloo is akin to Vegas; i.e., what happens in the igloo stays in the igloo. On to other icy affairs. The Winthrop Wolverines U-10 hockey players enjoyed a day in the arena at the Town Toyota Center in Wenatchee last Sunday as they took on the Junior Wild. Despite losses in both games, the Wolverines had the excitement of playing in a big arena to round out the season. 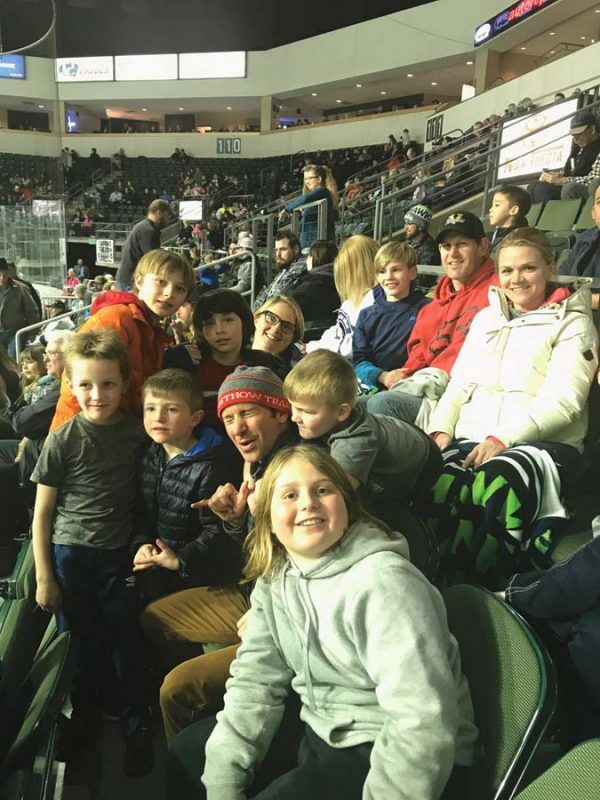 Following the double-header, a few valley families stuck around to watch the Wild take on Kelowna in an adrenaline-filled playoff game where penalties for fighting and unsportsmanlike behavior were the highlight. Our Methow kids were awestruck as the fists started flying and helmets torn off in the show of bravado that is unique to hockey The U-12 kids will play March 15 in Wenatchee, so come down and show your support for our growing hockey kids! After playing a couple of games, the Winthrop Wolverines U10 hockey players enjoyed spectating a contest between the Wenatchee Wild and Kelowna at Town Toyota Center in Wenatchee last Sunday.